You must make reservations at least 5 minutes in advance of the time at Osteria Toscana. Osteria Toscana brings Chef Luciano Canova's signature Italian cuisine to the Centre at Cherry Hill in Johnston, RI. Guests at Osteria Toscana will enjoy the authentic Italian food that Chef Canova is famous for, served up in a beautifully decorated setting by expertly trained service staff. Offering dinner, lunch, and a special Sunday brunch service. We had a nice experience and my friends were very impressed with the restaurant and the quality of the food. The waitress was good however she was not very available. There were long periods of time between sightings. That said, when she did come over to the table she was very helpful. Lack of availability, when needed, is the reason I gave three stars for service. The food, apps, cocktails and service were excellent as usual. The pace was just right and we were not rushed. Fadi is an excellent waiter with a pleasant personality. We will return soon and ask for Fadi. Thought the food was good, a bit pricey, our waiter was excellent. probley would go again. Excellent service, and food with a great atmosphere. Special promotions is what people are looking for today. There is an abundance amount of competition out there with other restaurants. I say out beat them. Keep up the good work. We all thoroughly enjoyed our evening and the food was wonderful. Omg mouth watering EVERYTHING! Calamari had to be the best I have ever had too!! and hope to be back again. Food and service was awesome!!!! Great overall experience!! They should have someone on staff who knows a little about tea I understand that most people drink coffee, the the tea selection is terrible, without a single non-flavored black tea. Was very disappointing - first visit - had a reservation - waited 45 min - dining rm crowded - table too small - with drinks water bread olives wine list and light felt claustrophobic!!!! No room to stand and wait - no room to get drink when waiting - not what I expected to walk into. Not sure I will rush back - there are several other choices - no reason to run back to this restaurant. The staff - ownership down - is committed to providing a great experience. Even though we had a reservation we had to wait 20 minutes for a table. Best restaurant in Rhode Island! Always great food, superior service. The food was delicious and the service was second to none. We will definitely visit Osteria Toscana again!! Food & service was excellent! Would definitely return! 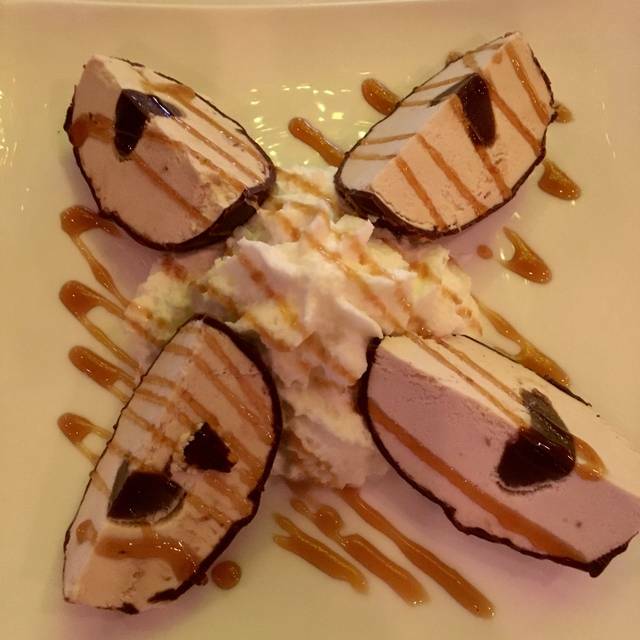 We have been to Osteria Toscana several times before and have always had good service and delicious food. We were not disappointed this time either. Good service good food good atmosphere along with great friends made a perfect night out. Always nice to visit. I would like menu items to have more flexibility. Specials always seem highly priced. I loved the ambience in the restaurant and the food was good. There's lots of cheese used in the dishes, so be aware of that when ordering and ask your server. The food was a little pricey considering that it was fairly standard fare. Sat at a table near the bar that had a few loud patrons. They were having fun so that’s all good. Our waiter was excellent and knowledgeable. The food again, while fresh, was nothing that wowed us. Good, not great. First time there and went with 2 other couples for 6pm reservations, Taken on time and had a delicious relaxing dinner. Everything was hot and cooked perfectly. We were there for 2 hours and never rushed and for a Friday evening that was terrific. Pricing was very reasonable in the mid 20.00 entree range. The specials were a more expense and I thought the swordfish special at 36.00 was over priced but there is definitely something for everyone and we will definitely be going back. 5 stars all around. Always phenomenal, Daniel and staff do an amazing job with consistency. Kudos to Luciano for having management and staff of this caliber. Food and service were wonderful. Highly recommend this restaurant. To many crammed tables, Restaurant is to small for all of those tables. The people all around our table can hear your conversation. Very noises also. Don’t think I will be back. Waitress was outstanding. Excellent place to dine on an evening out with friends or family. Ambiance and service are quite important to me and the restaurant "nailed" them both. As a wine enthusiast, it was nice to see an eclectic and quality selection of wines to which I most enjoyably imbibed. A nice place to spend the evening. I will be going back again. fantastic night out with girlfriends! Food was fantastic & for a Wednesday night they also offered many SPECIALS!! First visit and hope to come back soon! We were warmly greeted and everyone thoroughly enjoyed their meals. The blackened swordfish with balsamic veggies and garlic mash was outstanding. We enjoyed the food but our waiter wasn’t great. He was extremely slow and forgetful. Great dining experience and the service was excellent. The food is always great! Authentic Italian, delicious and served in a fantastically pleasant atmosphere. We went to Osteria Toscana for Valentine’s Day with an 8:15 PM reservation. We were not seated until 8:45 PM. We have fined here numerous times so I immediately realized that they swapped out some of the regular seating and added small folding tables. With our luck we got the small table in the back left side of the restaurant. There were 5 tables all on top of each other. We all could hear everyone else’s conversation. When the waiter finally made he way over I asked about the seating and was told they do this for every holiday. What was supposed to be a romantic evening turned into a horrible experience. Unfortunately at 8:45 PM there was no other choice. We didn’t even see a Manager or Owner come by to ask how everything was going. This just goes to show the greed rules. The owner of this establishment should be utterly embarrassed for last night. He has lost us a customer for good. 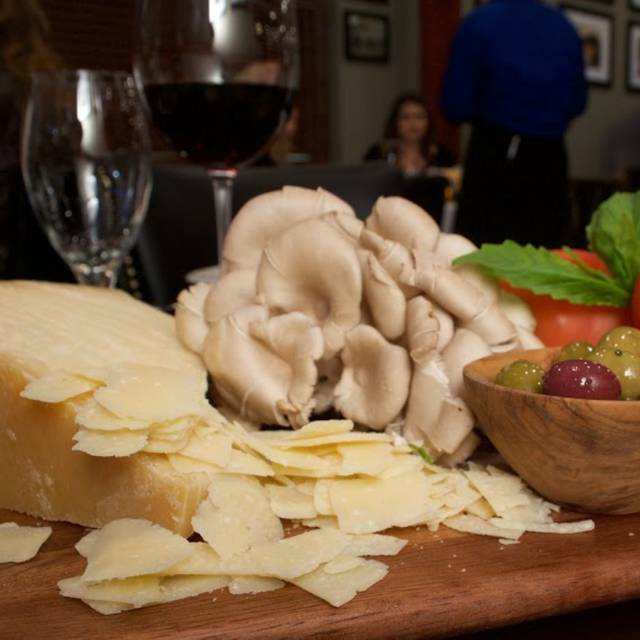 Osteria Toscana is our go-to destination for all special events, and even just a “night out”. We love Josh, one of the servers there. In fact, all the servers are so attentive and lovely. And, they make killer martinis! Food is always amazing. Our kitchen away from home. Outstanding service and delicious food ! We will definitely return. Overall very good! Was disappointed in salad w Anchovies, only one Anchovie. My dinner was very good and the desert Tiramsui was very good! Waitress was very good! Table for 2 was right near the door. Reservations were backed up and people were hanging over us. Not really the romantic setting we were hoping for on Valentines Day. Disappointing.